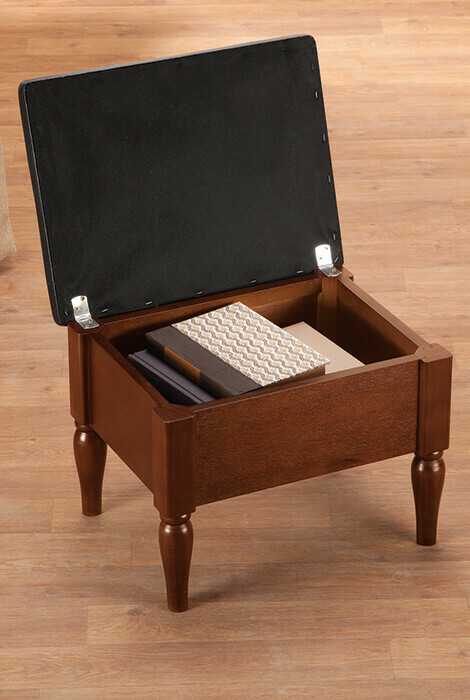 Faux leather wooden foot rest with storage by OakRidge™ combines sophisticated style, comfort and storage. 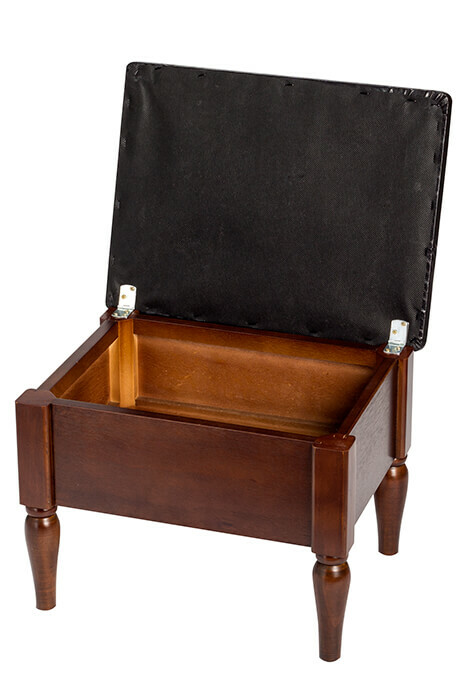 Cushioned faux leather top with nail head trim features the rich look of leather but wipes clean in seconds. 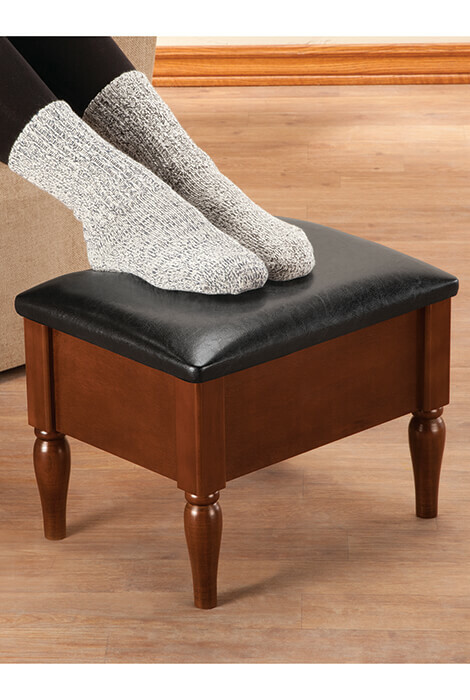 Lift up the Wooden footstool's top to discreetly store remotes, reading materials, craft supplies and more. Dark wood with chocolate brown top beautifully complements any décor. Assembly required; hardware included. 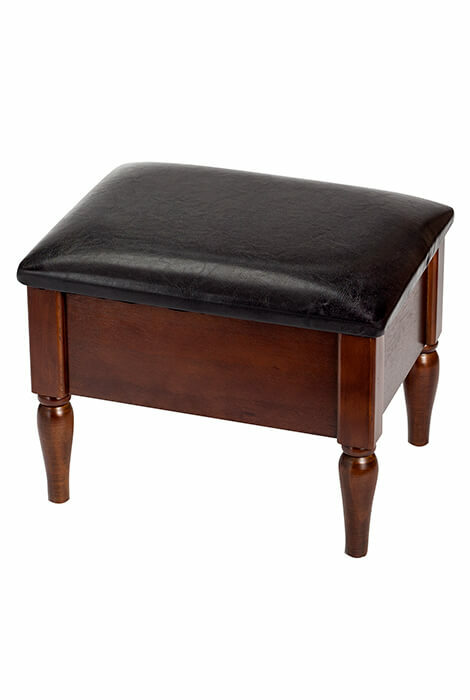 Faux leather footstool measures 15 3/4" long x 11 3/4" wide x 12 1/4" high. Medium-density fiberboard.